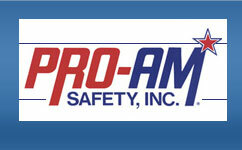 Pro-Am Safety has a strong commitment to the community and the State of Pennsylvania. We are current members of the following local organizations. Click the links below for more information. The MARCELLUS business directory is designed to support responsible Shale Gas Development by connecting the Natural Gas Industry to local vendors, suppliers, and services. SMG is a network of the dominant industrial safety equipment distributors in North America. Its member companies are unified to furnish the dedicated customer service and flexibility provided best by independent entrepreneurs, owned and operating on a local level. SMG is a corporation - organized as an industry cooperative - which is focused on group purchasing and group marketing of quality safety equipment products. 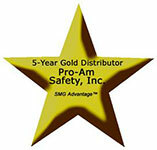 In 2014 Pro-Am Safety was recognized as a 5-Year Gold Distributor by SMG.